The Tonopah Test Range was founded in Fall of 1956, and first opened in 1957 as a ballistic range for testing airborne weapons. In the 1960's it also became a primary test site for explosive studies, managed by Sandia National Laboratories. The surrounding remote installations have a large number of high-tech communications, radar and tracking sites. 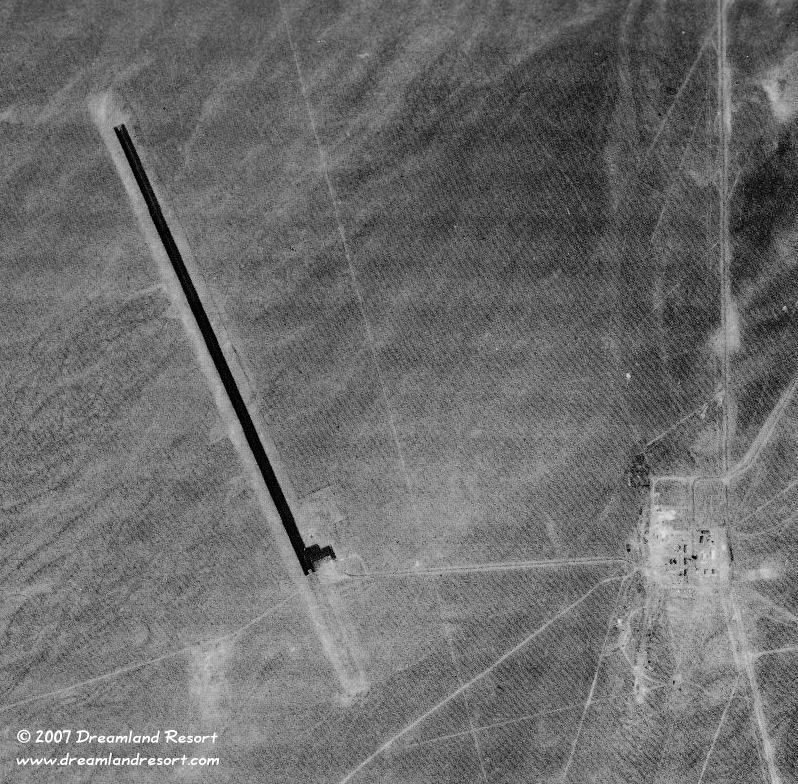 The original air strip was improved several times over the years. In 1969, runway lights were added, and in 1970 the runway was extended to 6600 feet, plus a 1500-foot overrun. In 1976 it was completely repaved with a strengthened all-weather surface. Between October 1979 and January 1982 the airfield was greatly improved in preparation for the tactical evaluation of the top-secret F-117 Stealth Fighter. In 1984 the Stealth Fighter project moved here from Area 51 for evaluation by the 4477th Test and Evaluation Squadron (4477th TES), years before it was unveiled to the public. This 1976 aerial photo of TTR was taken after the runway improvement in the same year, but long before the base was expanded for the Stealth Fighter project, which essentially gave it its current appearance. Photo from Steve Hauser, with friendly permission.